CB Financial Services, Inc. (“CB”) is a stock holding company established in 2006, whose wholly owned subsidiary is Community Bank, a Pennsylvania -chartered, commercial bank. 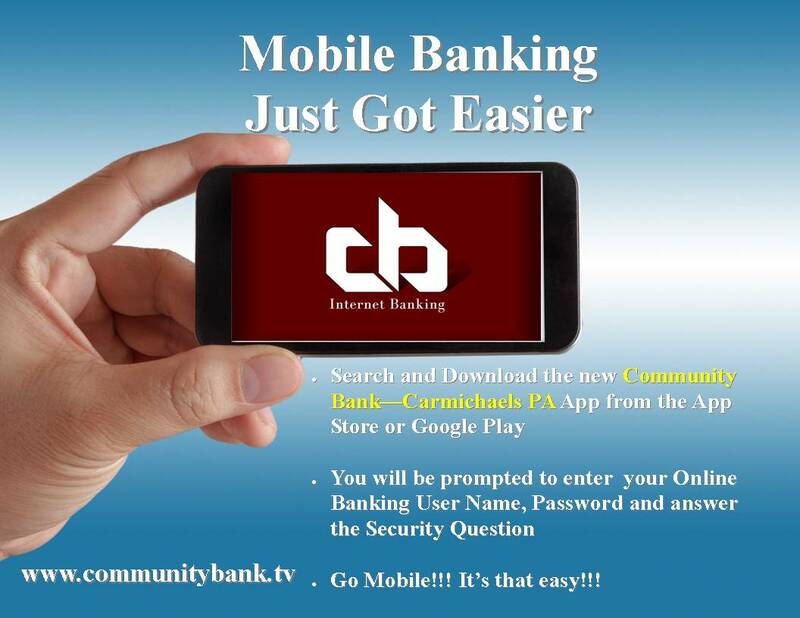 Community Bank was founded in 1901 as The First National Bank of Carmichaels and changed its name to Community Bank over 30 years ago. Community Bank currently operates twenty (20) offices in Southwestern Pennsylvania located in Greene, Washington, Fayette, Westmoreland and Allegheny Counties, seven (7) offices located in West Virginia in Brooke, Marshall, Ohio, Upshur and Wetzel Counties and one (1) office located in Ohio in Belmont County. Community Bank is a community-oriented financial institution offering residential and commercial real estate loans, commercial and industrial loans, and consumer loans, as well as a variety of deposit products for individuals and businesses. Community Bank also offers commercial and personal insurance brokerage services through Exchange Underwriters, Inc., its wholly owned subsidiary. The Bank also offers wealth management services through an affiliation with the Bishop Group of Janney, Montgomery Scott. CB’s common stock is traded on the NASDAQ Global Market ® under the symbol “CBFV”. Our Audit Committee Charter is available for review. Our Compensation Committee Charter is available for review. Our Nominating-Corporate Governance Committee Charter is available for review. Our Code of Ethics is available for review. To report a violation of the Bank's Code of Ethics, click on the following link - www.mycompliancereport.com (code CBFV) - or dial 1-888-845-0815, 24 hours a day, 7 days a week. XBRL (Extensible Business Reporting Language) is a language for the electronic communication of financial and business data. XBRL is one of many languages in the XML family for displaying information on the Internet. In 2001, the US, Europe and other countries created XBRL International to develop and maintain XBRL. XBRL U.S. was also formed for governance of U.S. financial reporting. In 2004, the U.S. Securities and Exchange Commission (SEC) started to support the idea of U.S. public companies using XBRL for the filing of their financial statements. The SEC started the Voluntary Filing Program in February of 2005 and made XBRL filing a requirement in December of 2008.